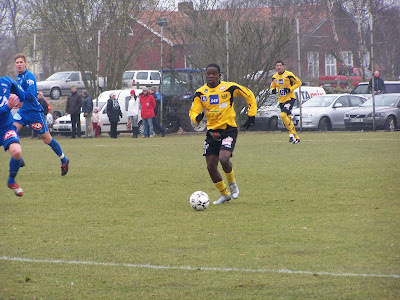 Mjällby has played this saturday against Öster, division 1 team. 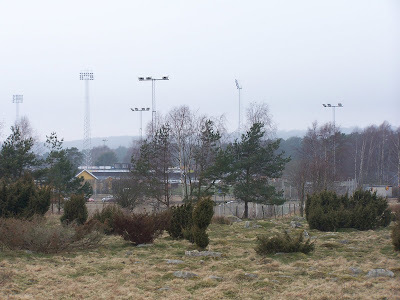 Mjällby was back on the grass of the D plan in Hällevik for the training game against Falkenberg. 6-7 degres, a little rain, hard wind from the sea. Mjällby has been dominating the game. But not creating enough chances. First goal of the game - the one by Ekenberg - was the state of the art. A fantastic volley. Not long after his own goal Ekenberg provoke a justified penalty and takes care of it himself. He makes it easy for the goalkeeper who puts his hands on the ball (see picture). 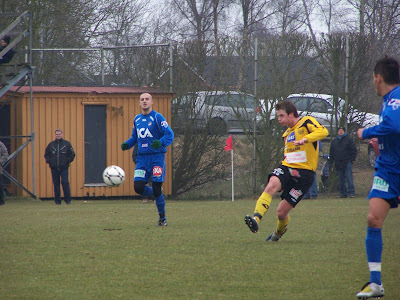 Then Falkenberg scored on a conter attack and scored on one of their only chances. Alexandersson and Robledo was not so inspired on the action. Asper did not save this ball but was not to blame. Just two minutes after Falkenberg could have taken the lead 1-2 but miracolously the ball didn´t enter the goal. It is still just training games, but the team start to make it together. Robledo is new enough and now he played the second half with Alexandersson who did his very first game for MAIF and it looks promising. We are back in a defence line "Baker-style" (if you remember Rosengren-Westergren). 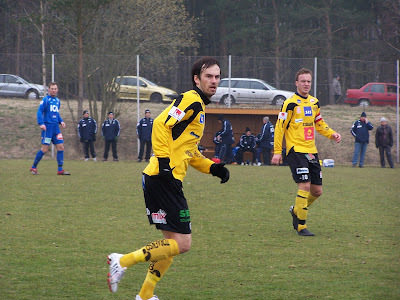 Löfqvist has left all of his division II-manners and is a now a man for superettan. Just before the start of the game. 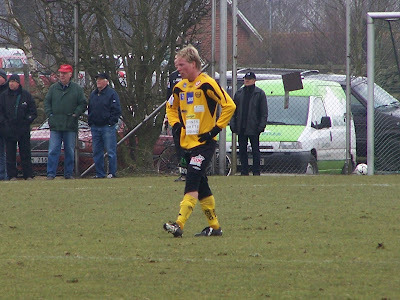 Johan Svensson in action. Good link with Ivanovski who was playing left defender. Ivanovski back on the right. Robin played left. Asper getting the ball. 1-1.